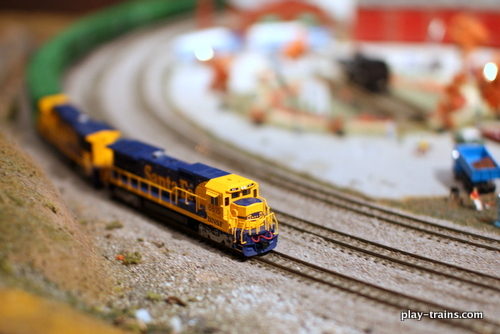 We spent two exciting days at the 39th Annual Model Railroad Show at Seattle’s Pacific Science Center last weekend. Exciting and exhausting for us adults, but completely worth it. 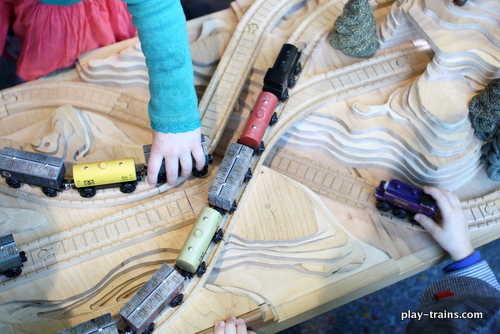 Given that we already have a membership to the Science Center, I wasn’t going to let the Little Engineer miss out on anything. 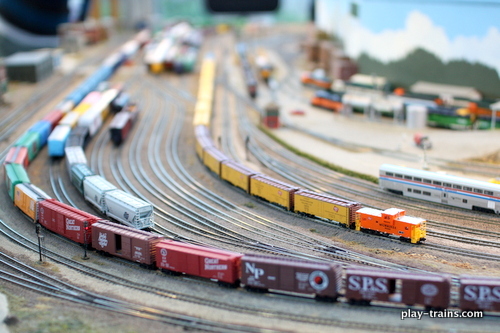 The show seemed a lot bigger this year. But then again, the only other year we’ve gone so far was last year, during Seattle’s it-only-happens-once-a-year snow in, so I’m not sure if this is a trend or not. 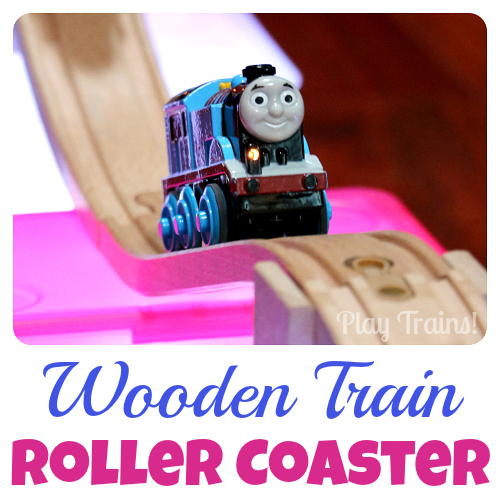 Either way, I and my camera appreciated that the wooden train table and the Lego/Duplo train play area had been moved into rooms with natural light. 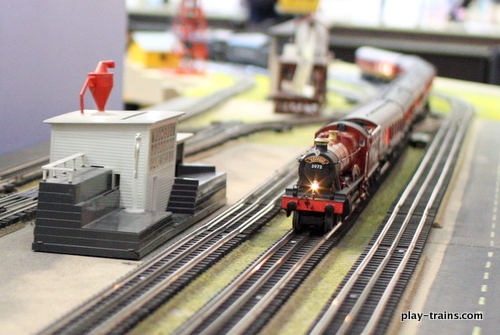 Here are some photos from the show: Lego trains, wooden trains, Playmobile trains, and of course model trains in all different sizes, from N-scale to O-scale, with kid-friendly appearances by Thomas & Friends engines and the Hogwarts Express. 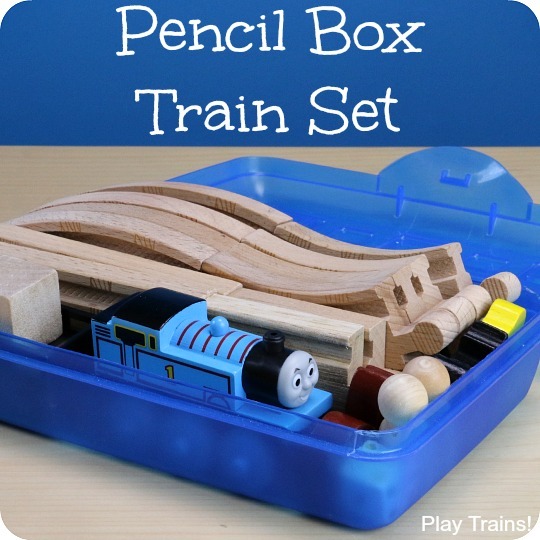 I’ll return to the subject of the train show soon to focus on the wTrak modular wooden train table the Little Engineer adores. 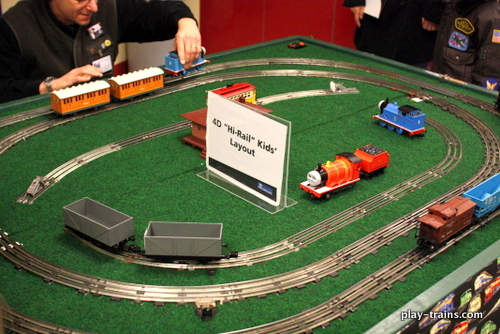 Update: see pictures of and read about the wTrak train tables here. 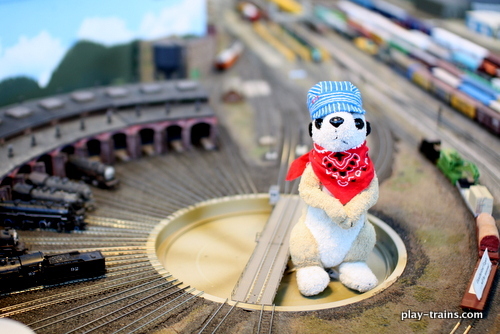 I’ll also introduce our official mascot here at Play Trains! 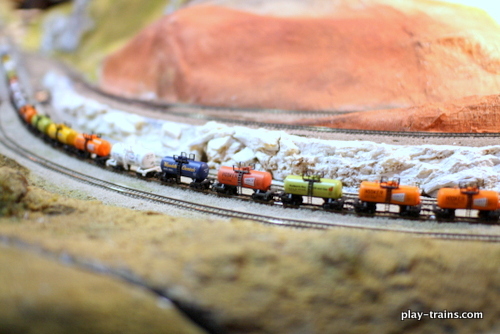 in the near future, who was quite excited to get to go on this adventure with the Little Engineer and get invited to be photographed in one of the N-scale displays. 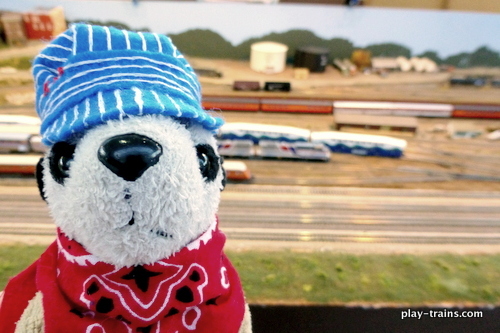 See if you can spot him in the pictures below! 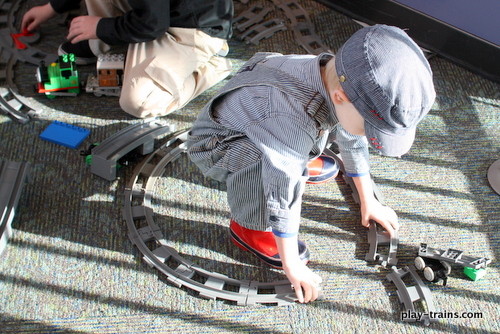 Little Engineer playing with the Duplo trains. 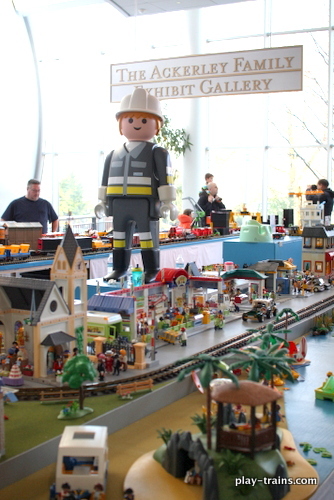 Man, the competition was fierce to get ahold of a Duplo Thomas! 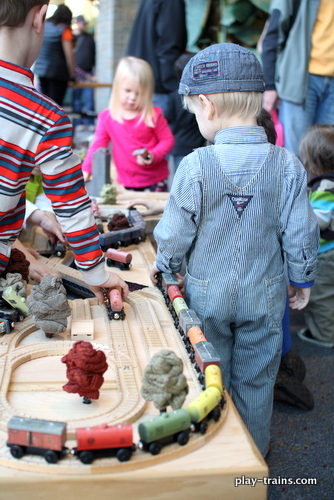 The Little Engineer at his favorite part of the event, the wTrak wooden train table. 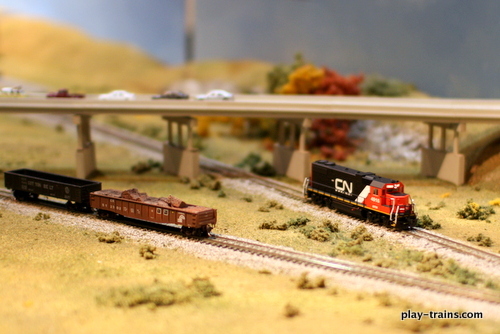 Playmobile train display — I took better photos of this at a train show in December, which I’ll have to post soon. 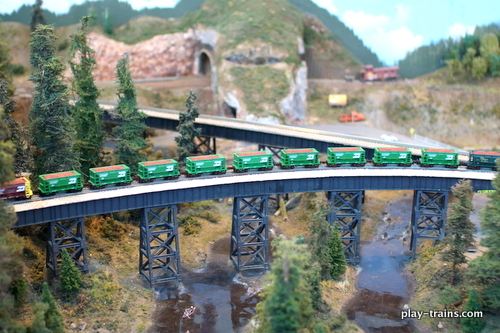 N-scale freight train going over a bridge. 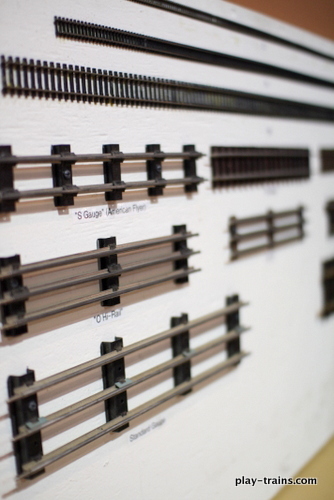 I love this whole layout. 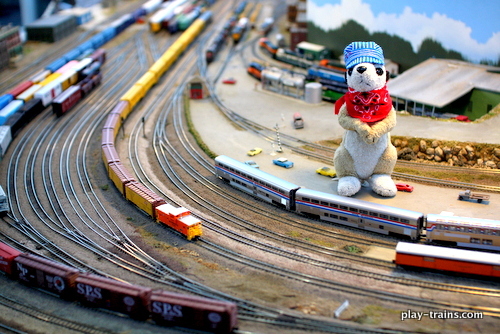 Model train yard, with a very enthusiastic visitor. 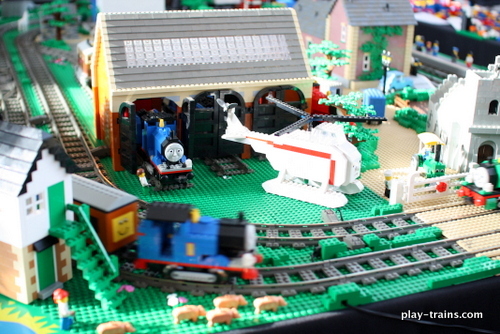 He got to visit the roundhouse as well! 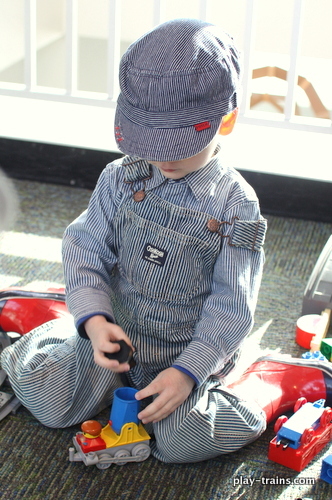 Thanks for touring the train show with us!